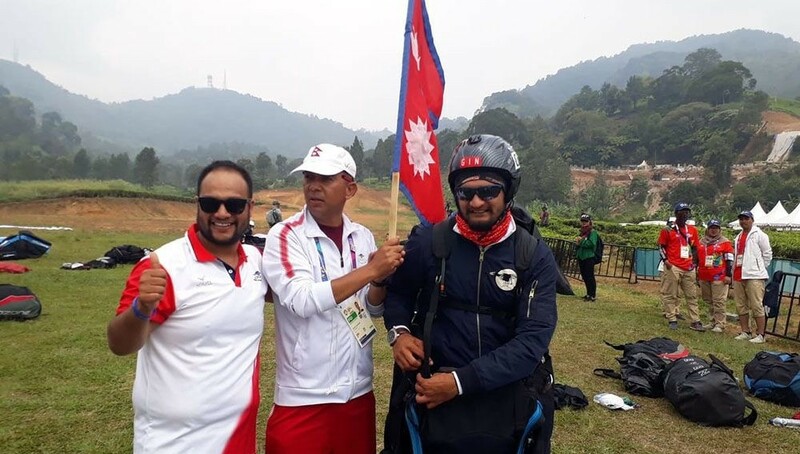 Aug 29, 2018-Nepal ended the medal drought by winning a silver medal in the paragliding event in the 18th Asian Games being held in Indonesia on Wednesday. Nepal came second to team Japan with a difference of just 27 points in the men’s Team Cross Country event of Paragliding held at Gunung Mas Puncak in West Java, Indonesia today. The Nepali team comprising of Bijay Gautam, Bimal Adhikari, Sushil Gurung, Ukesh Gurung and Bimla Thapa accumulated 2797 points in today’s round taking the total score to 11,364 points. While, Japan who had a total score of 9359 yesterday, added another 2057 points to take their total to 11,391 points to win the event.